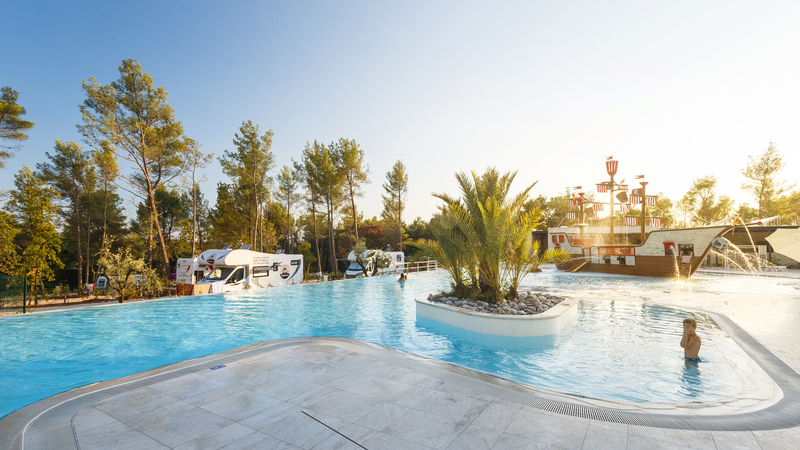 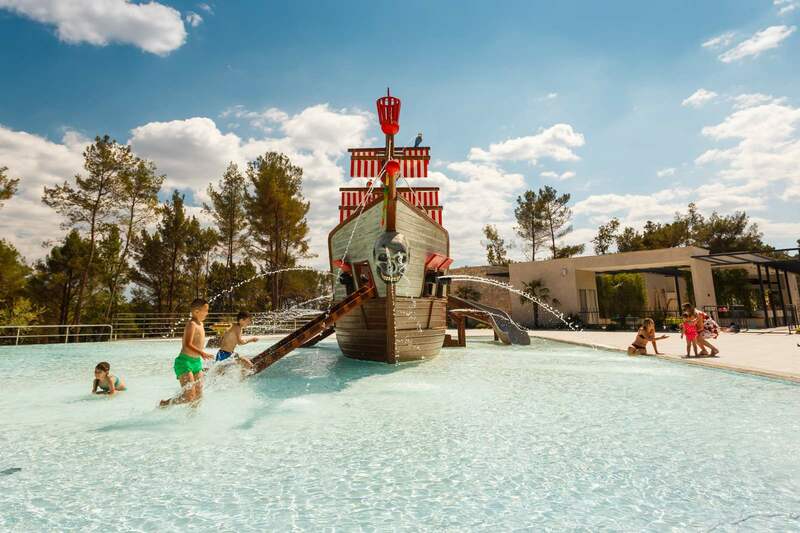 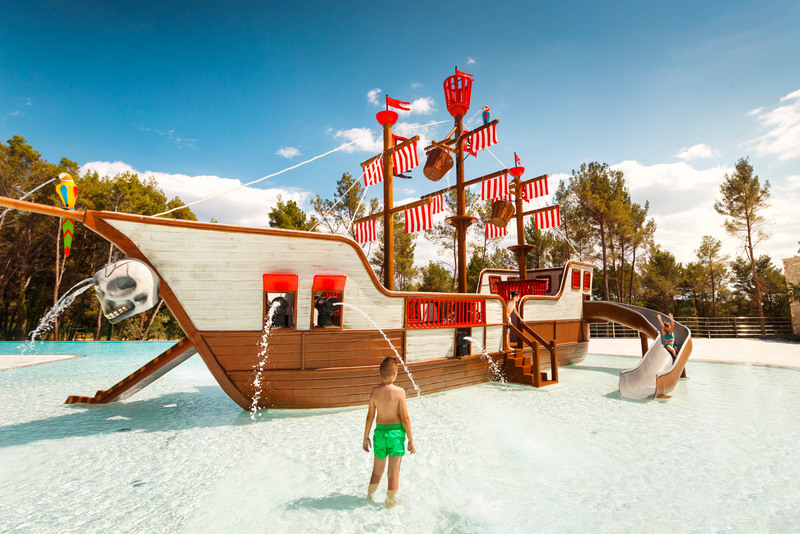 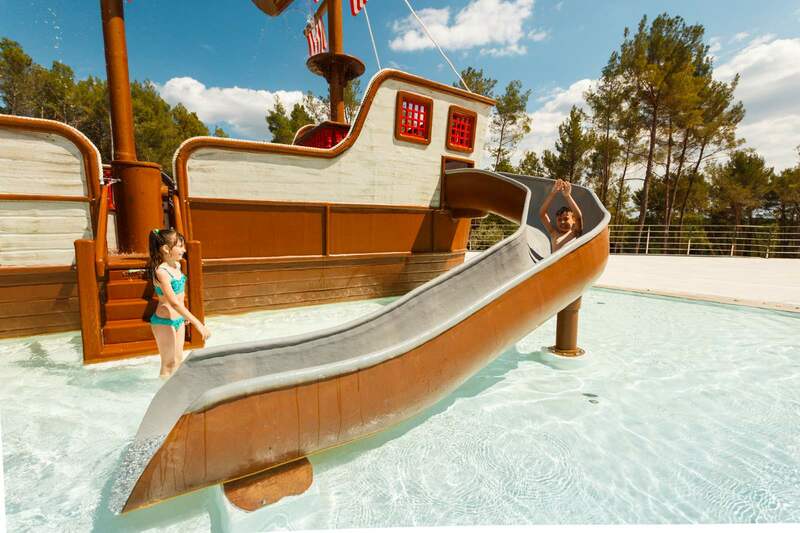 A special water experience at Boutique Camping Santa Marina is guaranteed! 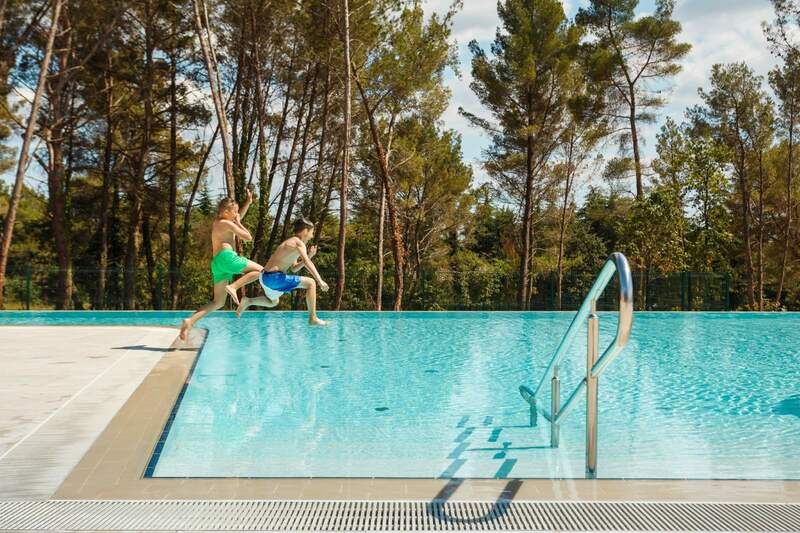 Let yourselves go with spraying, laughter and joy at the swimming pool complex with a multitude of attractions and additional facilities. 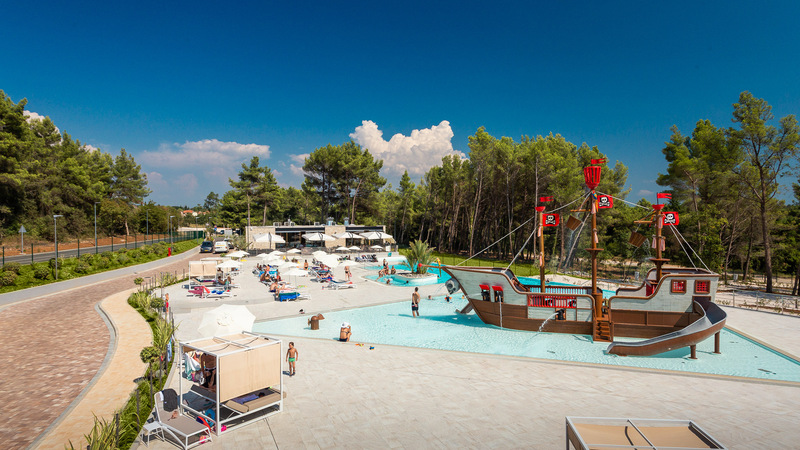 The central 570m2 swimming pool is the place where the whole family find something for themselves - children, fun at the water attractions, parents, relaxation at the spacious sunbathing deck and sunbeds with sunshades, and all of them together, a fulfilled family holiday and moments to remember, at Boutique Camping Santa Marina. 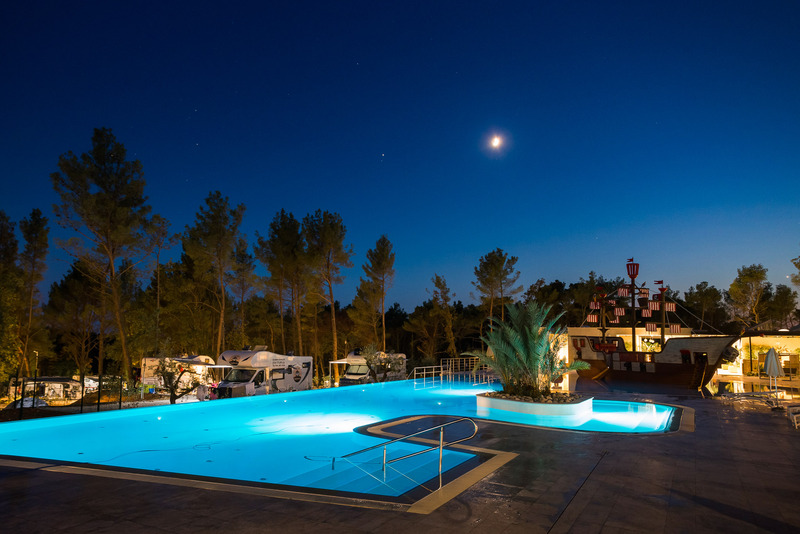 Apart from the campsite central swimming pool, mobile home guests also have at their disposal 2 further pools at the mobile home zone. 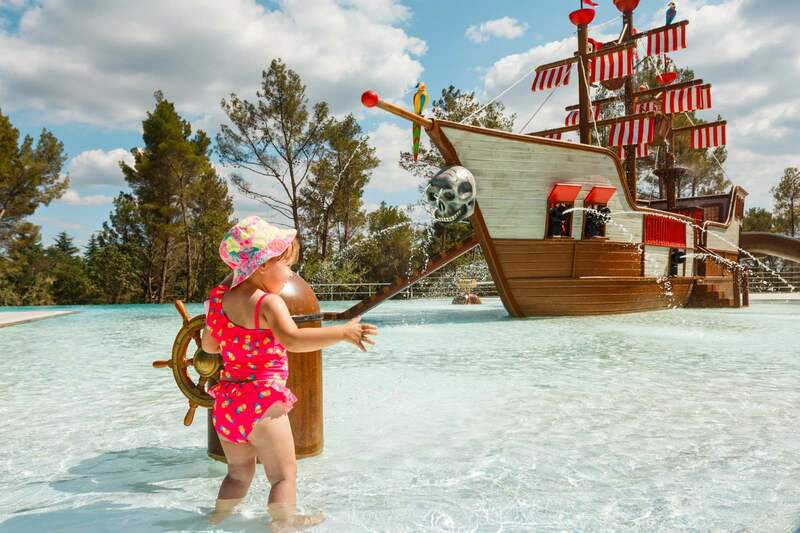 For, there’s never enough of water fun!